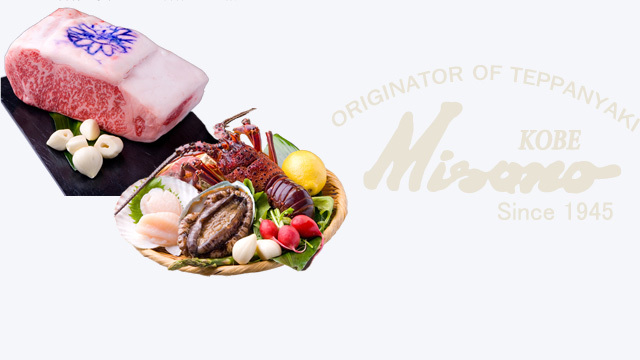 Misono’s first branch was opened in Kobe in 1945, and we have subsequently expanded to have restaurants in Osaka, Kyoto, Ginza, and Shinjuku. In all of our restaurants, Misono carefully selects and serves black cattle Japanese wagyu beef, Kobe beef of the highest quality. We strive to maximize the naturally great flavor of Kobe beef by using minimal seasoning and only the freshest and most delicious vegetables.Misono has thrived for so many years by maintaining the highest quality of restaurant standards. We are sure that you will love the teppanyaki steak at the original teppanyaki steakhouse.